A recent statistic suggests that 15% of the churches in America are growing but only 2.2% are growing evangelistically. Much of the church in America has lost its evangelistic zeal and forgotten how to re-ignite it; this book is an attempt to light the fuse of the powder keg so that the church, long-distracted by so many things, might return to its primary mission in the world. We do not take Christ to anyone; He is already there. We go to make explicit what we see Him doing implicitly. It is not a question of whether God is at work in His world . . . Our hope is to see more of God’s people at work with Him! Learn about why we share our faith, Christ's role in our evangelism, the deep longings in all our hearts, and how to effectively live a sacramentally evangelistic lifestyle. We are offering a way of looking at life and the world that is open to God’s presence everywhere. This approach is called sacramental. And where better to experience God’s presence than in His workplace? 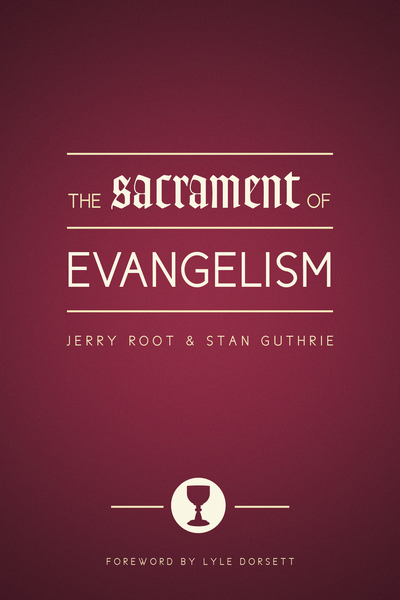 This is the Sacrament of Evangelism.